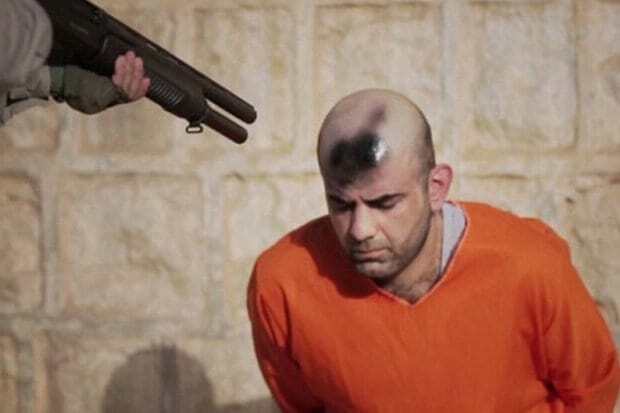 ISIS fanatics have filmed themselves spray painting the top of a man’s head with black paint before shooting him dead in a sick execution video. 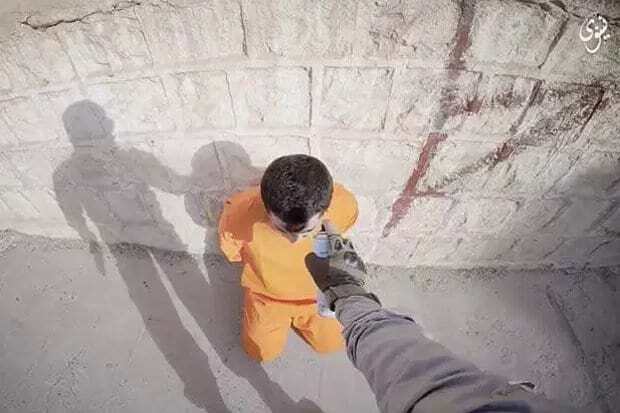 Other men – who are believed to have also been arrested for painting anti-ISIS slogans – are also forced to kneel with their backs to a wall while targets are spray painted onto their heads. The horrific killings are followed by clips of another mass execution. 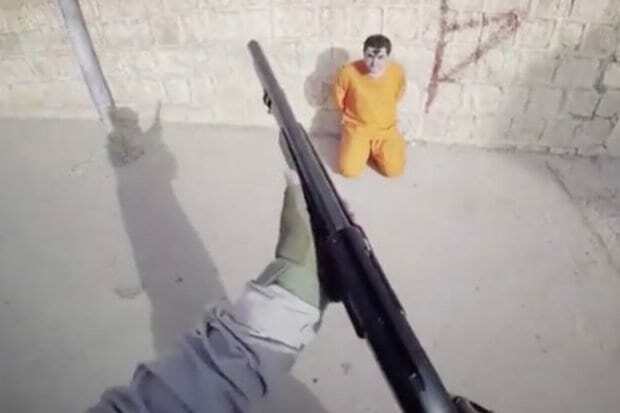 Five blindfolded men – who are accused of being spies – are led into the middle of a street in Mosul before being slaughtered in front of local residents, the Daily Star reports. The 11-minute clip, called Deterring the Hirelings Two, was released as Iraqi and Kurdish forces launched a military attack on the ISIS stronghold Mosul yesterday. It is believed the video was issued as a warning after ISIS leader Abu Bakr al-Baghdadi reportedly fled the city. The military offensive to re-take Mosul – which has been under ISIS control since June 2014 – has seen bombings throughout the city. But while many may cower at videos like these, it’s important to realise that the release of them is to distract from the reality of ISIS rapidly losing territory and power. Today, Islamic State holds only about 10 per cent of Iraqi territory after defeats in cities over the past year, the Irish Times reports. The Iraqi military has since recovered many of its lost territories and is riding a wave of momentum in which they have evicted Islamic State from major cities including Sinjar, Beiji, Ramadi and Fallujah since the end of last year. And in the battle of Mosul – the most symbolic and important military struggle in the war against the jihadi militants yet – ISIS is expected to lose. If they do, it would mark the beginning in an inevitable take down of the Sunni-led group. Losing Mosul would make it easier for ISIS’ opponents to recapture the group’s Syrian capital of Raqqa, because major supply routes from Iraq would be cut. 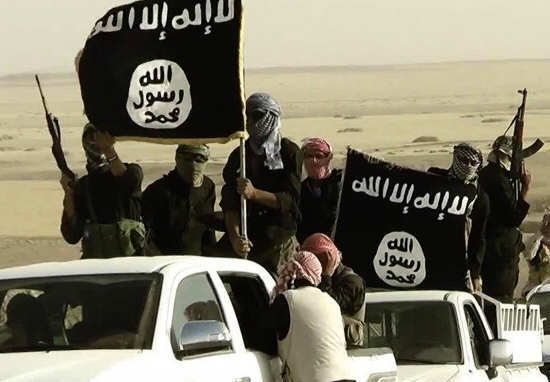 In reality, we very well may be seeing the last weeks and months of ISIS as an occupying territory.